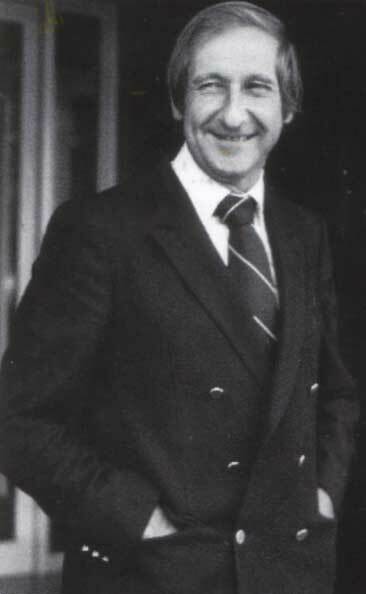 Ally MacLeod's name will for ever be associated with the débâcle that was Scotland's 1978 World Cup campaign, but his career amounted to far more than one dispiriting week in Argentina. Before taking the Scotland manager's job, he had already transformed the previously unheralded Ayr United into a First Division force, and set Aberdeen on the road to glory. And it was his exuberant leadership that helped a talented collection of players reach the 1978 World Cup finals in such style that they were tipped as possible winners of the competition. Even the doomed campaign which subsequently unravelled in such a hideous fashion was partially redeemed when Scotland beat Holland 3-2 in their last game. Archie Gemmill’s wonder goal gave us hope at 3-1, but just three minutes later, Johnny Rep lashed a shot beyond Alan Rough, to pull the score back to 3-2 and kill the dream. It was a bravura, though vain, attempt to qualify for the competition's later stages after disasters against Peru - whose players were described by MacLeod as "old men" and Iran as "minnows" who Scotland could only draw 1-1 with thanks to an Iranian own-goal. In the weeks before the World Cup, Andy Cameron’s Ally’s Tartan Army became more than a song; it was a contract. MacLeod had put faith in the best squad Scotland had put together since the Second World War - Souness, Dalglish, Jordan, Gemmill and more - and said they could win the cup. Ally said so; the nation lived the dream. 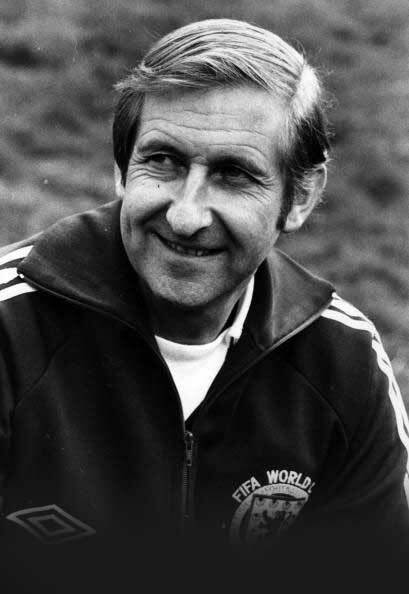 Yet despite his considerable achievements as a player and manager, MacLeod’s reputation was determined in the course of those events in Argentina in 1978. In the intervening 26 years, the debacle has been laid on MacLeod’s shoulders, which, in a sense, was too great a load for one man. Everyone else had bought into the dream. National euphoria prevailed and 25,000 fans flocked to Hampden to wave off the players, who greeted fans from an open-topped bus. MacLeod’s great mistake was to offer Scotland a hope that would prove false, when he said: "I think a medal of some sort will come!" The magnitude of his personality had persuaded Scots they could win. Privately, MacLeod was more realistic. Before he left his home in Ayr for Argentina, he told his wife, Faye: "God help me if things go wrong. I will either come back a hero or a villain." The most enduring television memory of Scotland’s involvement - apart from Gemmill’s goal - was the sight of MacLeod holding his head in his hands. There is no doubt he was at fault; MacLeod had not done his homework and thought the Scots could beat the world by "playing to their strengths". MacLeod was born on the south side of Glasgow in 1931, into a family that was fanatical about its football. Two uncles were professional players, and the small matter of an amputated limb failed to halt his father's amateur goalkeeping career. The proud son said: "My father lost his leg and played in goal for his team. That was my driving force." MacLeod quickly showed enough ability to begin a career as a professional himself. As an outside-left he started his career at Third Lanark, with whom he won the Glasgow Charity Cup. After National Service MacLeod joined St Mirren, before moving to Blackburn Rovers in 1956. He won an FA Cup runners-up medal when Rovers lost the 1960 FA Cup Final 3-0 against Wolverhampton Wanderers. In 1964 he signed for Ayr United, and two years later became manager of the club, and it was as a coach that he really made an impact on the game. Ayr United were a humble Second Division club with part-time players, but MacLeod took them up to the First Division, where his talents and outgoing character were given a national stage. He was hired by Aberdeen in 1975, and it was with the Dons that he captured his first major trophy, winning the League Cup final 2-1 after extra time against Celtic in 1977. Shortly after that triumph he took over from Willie Ormond as Scotland manager, and quickly imbued the team with a belief that they could be a force in world football commensurate with their country's passion for the game. After an exciting qualifying battle with Wales and Czechoslovakia, MacLeod's team reached the World Cup finals on a night of high emotion at Anfield, when they beat the Welsh 2-0. MacLeod's jaunty optimism over the team's chances in Argentina was seized on by a nation desperate for their team to do well. But by the time the side had reached South America, hopefulness had toppled over into hubris. They badly underestimated their first opponents, Peru, even though they possessed a couple of world-class players and were far more familiar with the steamy conditions in Cordoba than Scotland. Scotland lost 3-1, and in the aftermath of the match the West Bromwich Albion winger Willie Johnston was sent home for a doping offence. Their next game was against Iran, the supposed makeweights of Scotland's group, but MacLeod's side could do no better than draw 1-1. It was a disastrous result. Scotland fans in Cordoba, many of whom had quit jobs and sold possessions to support their team in South America, bayed for their money back, and the mood of the country was turning ugly. MacLeod had run out of luck. In the grounds of the team's hotel a little dog ran up to MacLeod, and the manager reached down to pat the stray. "This little fellow is my last friend in the world," he said mournfully. The dog bit him. Much pride was restored in Scotland's third match, against the powerful Dutch. Scotland needed to win by three goals - a footballing miracle - to go through to the next round, and when Archie Gemmill weaved through the Dutch defence to score the greatest goal in Scotland's history, it looked possible. But, although MacLeod's team won 3-2, they were on their way home. After one more game in charge of Scotland, MacLeod resigned and accepted the scorn of an angry nation but the players who were in his squad quickly point out he was not solely to blame. Defender Sandy Jardine said: "All we ever hear is that Argentina was Ally’s fault. He was partly to blame, so were his coaches, 24 players and the SFA." And Willie Miller, who captained Aberdeen under MacLeod during his time as manager, believed he paid a heavy price for lifting the nation’s spirits. He said: "His power was getting people to listen. No matter how outrageous the statements, Ally had you believing what he said could happen. When he was at Aberdeen, he lifted the players and lifted the town and I will remember him with affection." Kenny Dalglish said Ally MacLeod was "a real larger-than-life character, who brought a great deal of humour into any company". Joe Jordan said: "He was always the optimist. That’s what I will remember. He never really changed, only a little bit during the World Cup in Argentina, when we were under pressure." Ally returned toclub management with Ayr, and later Motherwell, Airdrie, Ayr United again and Queen of the South. He also ran a pub in Kilmarnock with his wife, Faye. After he retired, MacLeod settled in Ayrshire and played a lot of golf. In a touching tribute from Scotland supporters, in 2003 a group representing the Tartan Army presented MacLeod with a crystal decanter at Hampden Park on the 25th anniversary of the ill-fated Argentina campaign, to recognise his services to Scottish football. The money for the gift was collected from supporters at Scotland home games. But, by then, MacLeod was suffering from Alzheimer's disease and could remember nothing of the events in Argentina. It's hard to believe now but back in the mid 1970s Scotland was a nation brimming with self confidence - we were going to get our own Parliament (well that was the plan); North Sea Oil meant we could all look forward to a life of luxury; in Billy Connolly we had the world's funniest man; the Bay City Rollers had performed a fashion miracle and made tartan trendy; and (perhaps most importantly) we'd stuffed England 2-1 at Wembley! So by the time the national team qualified for Argentina '78 we had a national ego the size of Rod Stewart's tartan trimmed bell bottoms - boy, we really set ourselves up for a fall. 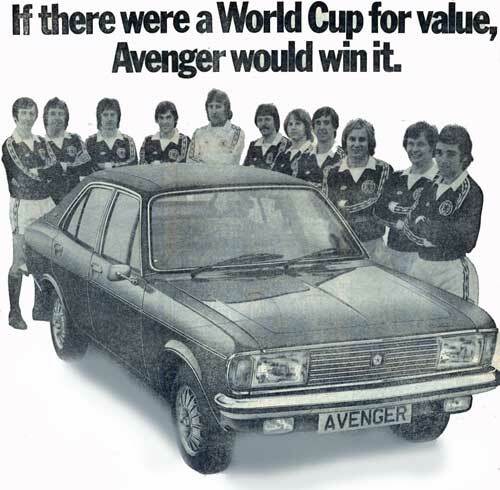 It wouldn't have been so bad - but Scotland were the only British team to qualify for the finals that year, so in media terms we had the whole stage to ourselves. The fans were sure this was going to be Scotland's year - and why not? We'd been drawn in an easy group Holland (Finalists in '74 - slightly tricky), Peru (nae bother) and Iran (easy-peasy!). Teams like Nottingham Forest, Liverpool, Leeds United, all hoatching with Scots, had been lauding it up on the European scene for the last few years. And then of course there was Ally Mcleod - he may be a bit of a joke now, but back then he was the bee's knees with a mouth and an ego to match his namesake Mohammed Ali. Cos Scotland are the Greatest Football team...... EASY! Maybe it was because I was a callow youth but as far as I was concerned that song was a contract with the nation and I, and many others like me, expected the team to deliver. In the month leading up to the competition the footie madness reached a frenzy.... one fan was so determined to make the trip to Argentina he threatened to walk the length of Europe and Asia, across the Bering Straights to Alaska and then stroll through the Americas to Argentina; another group of supporters toyed with the idea of buying a submarine and navigating it across the Atlantic to Buenos Aires. Ally McLeod was of course every where, the Tartan Army hung on his every word - particularly handy as his face was being used to flog carpets to the nation.... and he wasn't alone, other squad members cashed in on their new found fame to advertise that nippy wee symbol of British industrial malaise - the Hillman Avenger. Alan Rough joined one of the nation's most exclusive clubs - Blue Peter Badge holders - when he appeared on the programme and received a 'lucky' mascot to place behind his goal. The triumphalism finally reached its apotheosis when 25,000 tartan clad punters turned up at Hampden to bid farewell to the World Champions elect as they circled the pitch in an open top bus - many of the squad sporting the free perms gifted to them by a fitba' daft hairdresser. Once in Argentina the posing was over and "the lads" had to get down to the serious matter of playing football, which was a shame really as they were truly world class posers. Sunday 4th June, the day we'd all been waiting for - Peru weren't expected to pose any real problems. Initially things actually went quite well Scotland dominated the first 20 minutes and went one up through Joe Jordan, it looked like we were on the fast track to the final in Buenos Aires - not for long though. Ally MacLeod had done little or no homework on his opponents, "we'll play to our own strengths", which is fine but we were also playing to our opponents strengths. Peru like to sit back and hit on the break, and so they did - 3 times! The game finished 3-1 to Peru. The team were savaged in the press. Scottish hero Denis Law announced "We have no chance" - this is the point where the manager is supposed to appear and mutter soothing platitudes like "We're just taking each game as it comes" "there is still everything to play for" or "We'll do our talking on the pitch". Things amazingly got worse - Willie Johnston brought international disgrace to our national shame when he tested positive for drugs and was sent home. Argentinean papers headlined with "Johnston is the first disgrace of the World Cup" and "Mr MacLeod is Mr Big Mouth". The team that lined up to face Iran may have been at a low ebb but they were still expected to give the World Cup minnows a thorough going over. We didn't lose this one but if anything it was more embarrassing than the Peru game. A lacklustre Scotland limped to a 1-1 draw saved only by an Eskandrian own goal. The die hard fans who had made the trip all the way to Argentina turned on the team, the image of the fans flicking vickies at the team as they left the park was beamed round the world; Anonymous stories emerged from the team headquarters of disarray, discord and that old favourite of Scotland squads - late night bevvy sessions. It seemed the squad had become regular and valued customers at their local nightclub. One particularly heavy session ended with Alan Rough and Derek Johnstone staggering back to the hotel in the wee small hours, by the time they got there the gates were locked so they had to vault the walls. Once over the pair were apprehended by irate gun toting guards, Alan Rough, however saved the day, uttering those immortal words - "Don't shoot me, I'm the goal keeper". the best goal ever in the history of football. We beat Holland (who went on to reach the final) 3-2, but it was the classic case of too much too late and only proceeded to remind us of just what could have been. We might have finished on a winning note but the tournament left a sour taste on the national palate (what a mixed metaphor!). 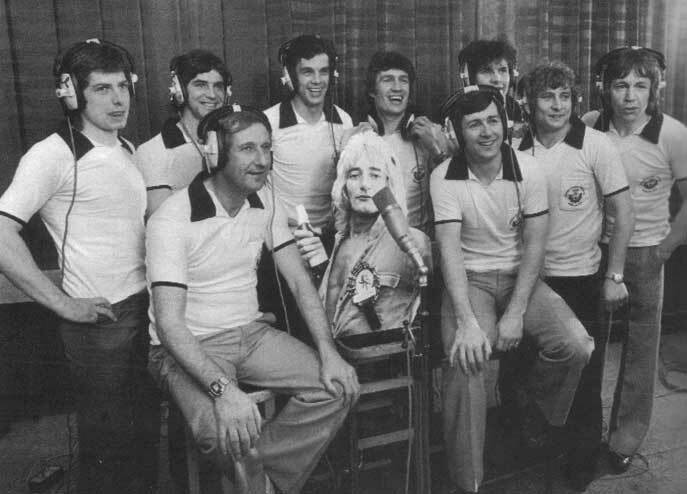 The press, of course, crucified the team, Ally MacLeod became a national pariah, confined to the lower reaches of Scottish football and ultimately a "humourous" guest on comedy sports quizzes. The SFA launched their own inquiry - the result of which three players were banned from playing for Scotland - Don Masson, Lou Macari and Willie Johnston. In the end, however, the SFA laid the blame for the shenanigans at the feet of the media. It was a curious and controversial conclusion, but by displacing the blame onto the "medja" it was perhaps recognition that they'd become involved in something much bigger than just football - a nation's self esteem was at stake. If you look at the SFA archives (and I bet you don't!) you'll see that annual report for 1979 reflecting on the World Cup concluded that "Scots everywhere should be ashamed" and finished very simply on an uncharacteristically personal and poignant note - "The party was over"
It's impossible to quantify the effect Argentina '78 had on the referendum in March '79 - not even the barmiest of the tartan army is going to be so facile as to admit they didn't bother voting "cos we wuz rubbish in the World Cup". On the other hand the Argentinean national team weren't rubbish, they won the World Cup and in doing so provided their ruling military Junta with much needed national popularity and international prestige (it has been variously claimed that the Argentinean Generals were so aware of the connection between football and politics that they fixed their team's semi- final game with Peru. Argentina needed to win by four clear goals - they won 6-0. Shortly afterwards Argentina shipped 35,000 tonnes of "free" grain to Peru!). Makes you wonder doesn't it. Ally from all The Tartan Army, thanks for the memories.